People who are already into smart phones and different tricks associated with smart phones, you would be already aware of rooting the smart phone and how rooting can unleash the true potential of your smart phone. Rooting the smart phone can give you access to everything which you did not have an access to and you can then trying putting custom ROMs and customizing your device that was not possible earlier. While rooting is one of the interesting things that can be done on smart phones, it obviously comes with certain cautions which are imperative to be taken care of. If not done with due diligence, rooting the smart phone could make it vulnerable to getting bricked in the process. So, there are basic initial preparations that must be conducted to see to it that everything goes well while rooting. If you have been hunting for a guide to root Samsung SM-G900V, here is one for you. Before barging in with all guns blazing, there are few things that are to be kept in mind. Rooting calls for a certain amount of preparation and some steps taken to securely move ahead with the rooting steps afterwards. While rooting the smart phone is easy and simple, any unforeseen glitch could land you in getting your phone bricked. Here are some preparatory steps to check before rooting SM-G900V. This is the foremost thing that is required to be done before rooting the device. Back up the data present in SM-G900V to prevent any loss of data in case of any adverse unforeseen situation. The rooting process could take some minutes and the battery tends to drain faster during the process of rooting. So, it is imperative to make sure to keep the battery at least 80% charged before going off to rooting the device. Ideally, 100% battery level is preferred before rooting. Before using the computer to root Samsung SM-G900V, ensure that you download and install required drivers for SM-G900V root on the computer. 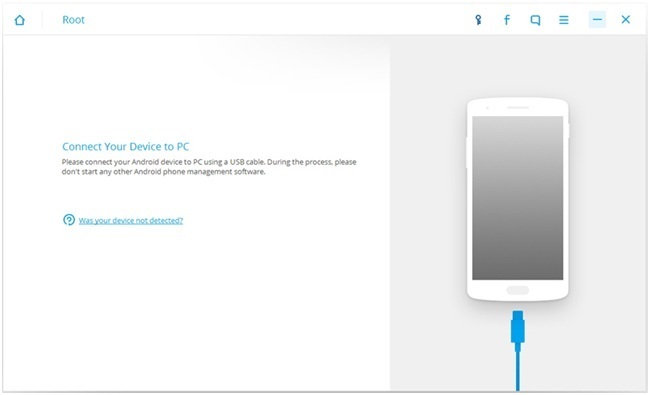 Moreover, make sure that you have enabled USB debugging on the Android device. So, these are some of the preparatory steps which must be taken before rooting Samsung SM-G900V. Now that the preparatory steps are complete, let’s now understand how to root SM-G900V with some tools in steps. dr.fone - Android Root is a great tool that can be used to root Samsung SM-G900V. This program has multiple applications and out which, Android Root is one of the simple and useful tool to be used to root Samsung SM-G900V. Just download and install the application and it automatically detects the Android device and start off with the rooting process. Here are the steps you could follow to root Samsung SM-G900V using dr.fone Android Root toolkit. Install and launch dr.fone toolkit for Android on the computer and select “Root” among all the provided tools. 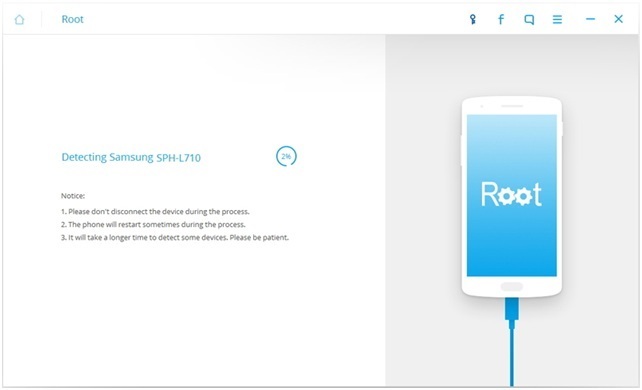 After you have launched dr.fone and selected “Root” from the various toolkits provide on the interface, connect Samsung SM-G900V with the computer through a USB cable. Make sure that USB debugging is enabled on your Android device. If at all you get any pop up messages to allow USB debugging on the device, tap on “OK”. dr.fone will automatically detect the device soon as it is connected to the computer. After the phone is connected properly to the computer, select “Start” on dr.fone toolkit. The program will then start to detect your connected device. 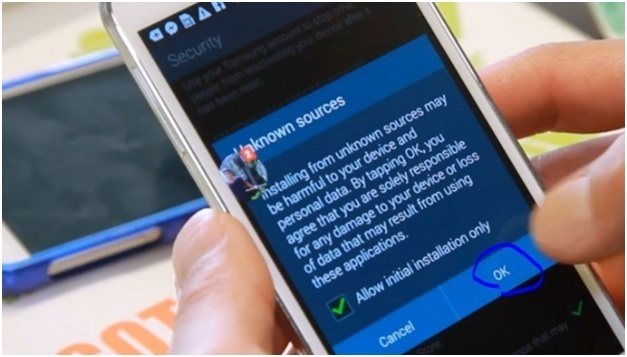 This process of detecting the device will take few minutes and dr.fone will find a way to root the Android device. 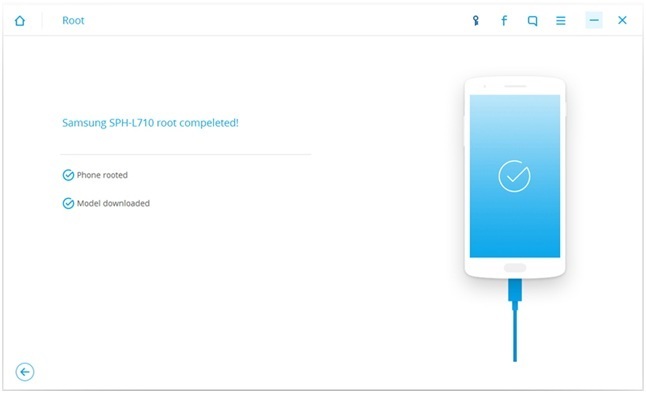 dr.fone toolkit will be ready to root your Samsung SM-G900V in some time and an option saying “Root Now” will show up on the screen as the program is ready to root. Click on “Root Now” to start with the process of rooting. You will be presented with some messages on the Android device asking if you would like to root the device. Tap on “Confirm” to move ahead with the process of rooting the device. The whole process of rooting will take few minutes and after the rooting process is complete, you will find the below screen and it’s done. 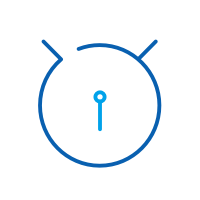 dr.fone toolkit for Android root is one of the simplest and great ways to root your device as the whole interface is self explanatory and simple to work with. Moreover, this is 100% secure and carries the highest success rate in the industry when it comes to rooting. This is another process in which you can root Samsung SM-G900V easily by installing an application on the device which will root the device. Just download the application i.e. apk file, install the application and root the Android device. 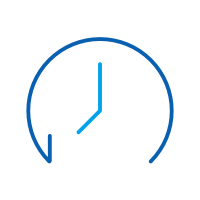 Since, this depends on the application which runs on the Android device to rooted, itself, the whole process is hassle free and does not require any connections with the computer for anything. It is a one click root process and having the data backed up and battery sufficiently charged leaves you secured. 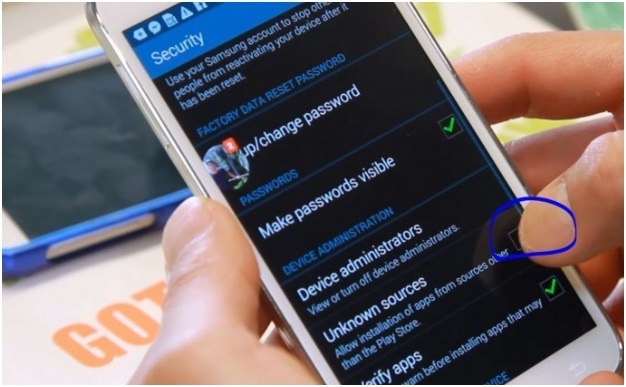 Well, here are the steps to be followed to root Samsung SM-G900V using TowelRoot. 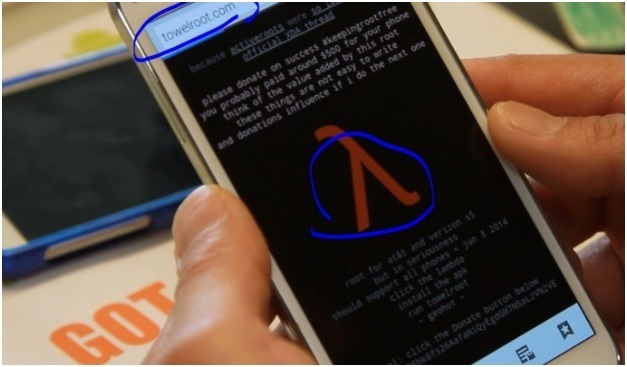 Using the phone browser, go to “TowelRoot.com” and tap on the lambda icon. The moment you tap on the lambda icon, the download will start and an apk will be downloaded. After the apk is downloaded on the phone, go to the notifications and drag down the notification bar to find the apk file downloaded. Click on the apk file on the notification. Make sure that you have allowed installing external applications or you may have to go to settings to allow installation from unknown sources. Tap on “Settings” and in the “Settings”, tap on “Unknown sources” to allow installation from unknown sources as shown below. Tap on “OK” as shown below and then install the application. Ignore if you get any warning while installing the application. After having the application installed on the Android device, it’s time now to run the application and root the device. 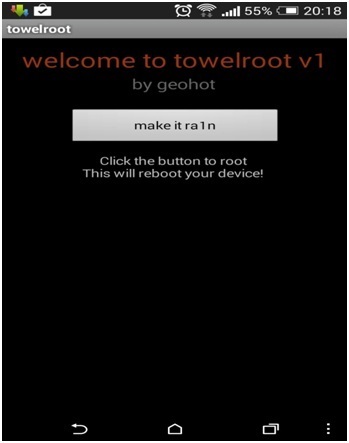 On the screen shown below, tap on “make it ra1n” button to start the rooting process which will take few minutes to complete. This is the same process which works well to root note 3 n900 and sm g900i root as well. So, these are some ways that could be followed to root Samsung SM-G900V. 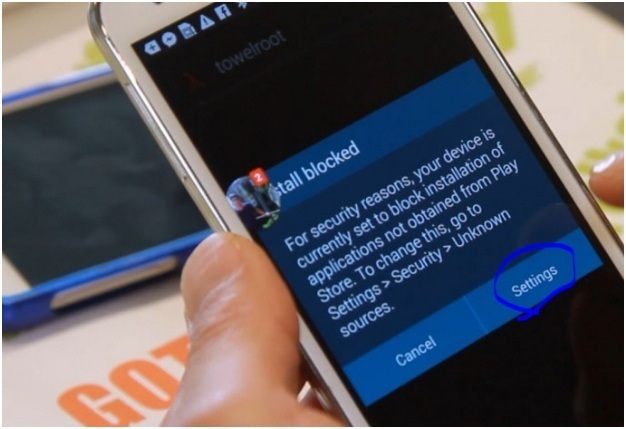 While dr.fone can be used root Samsung SM-G900V while being connected to the computer, TowelRoot can be installed on the Android device itself to root the device. 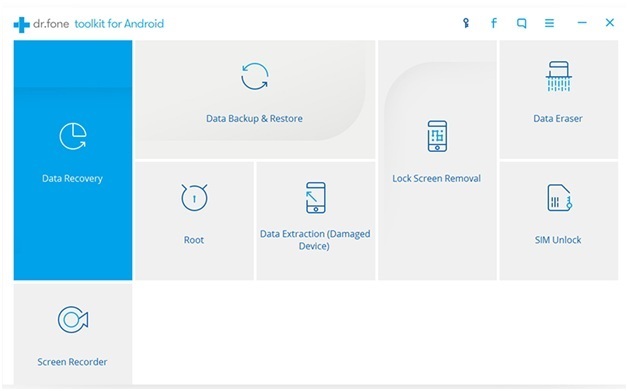 Both the processes of rooting the Android device are absolutely safe and secure, however, it is recommended to take some necessary steps as precautionary measures before rooting the device like backing up the device data, charging the battery level to full, etc.